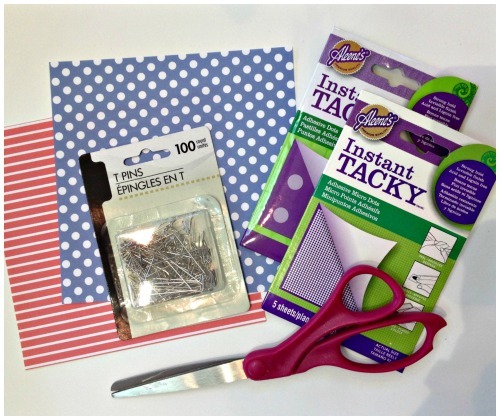 Turn plain scrapbooking paper into double-sided paper, quickly and easily with Aleene's Instant Tacky. You can create any custom color and pattern combination you want with this papercrafting technique. 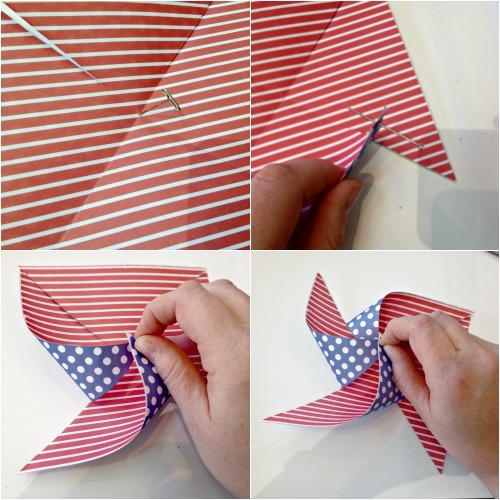 Then take your one-of-a-kind paper and turn it into a cute Patriotic Pinwheel using supplies you can find at the dollar store. Come get crafty with me! 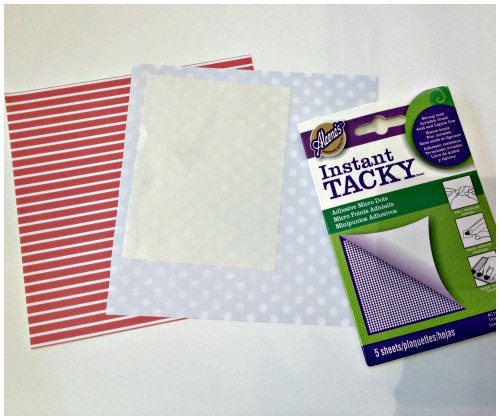 Place Aleene's Instant Tacky Sheets (microdots) onto the back of one sheet of 8x8" scrapbooking paper and remove the protective sheet to reveal the adhesive. Carefully place the 2nd scrapbooking paper sheet onto the sticky side of the first paper, matching up all corners as accurately as possible. 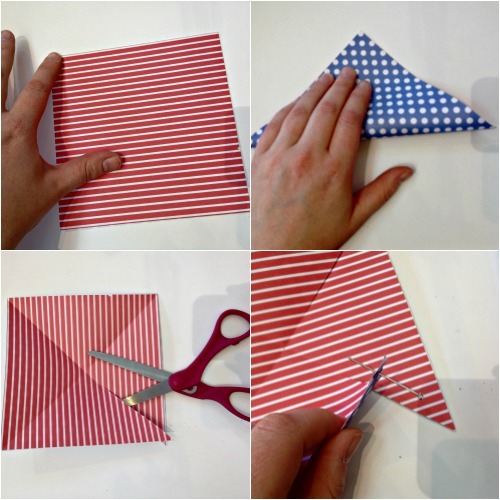 Fold the double-sided paper into half, diagonally. Then open it up, and fold it in half on the other diagonal. You should see an X across your paper. Using the diagonal lines as a guide, cut slits in the diagonals of the paper, stopping about 1" short of the center of the paper. 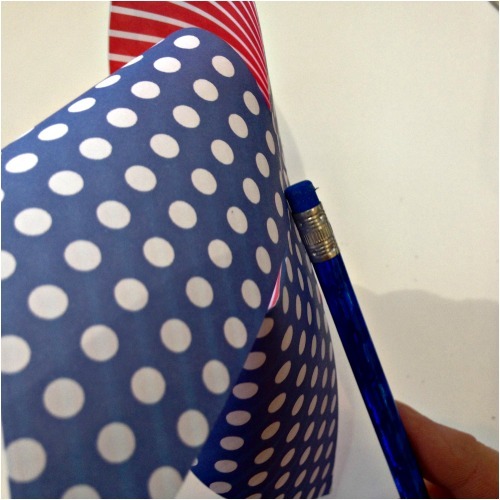 Poke the T-pin in the center of the paper to create a guideline hole. Take the pin out. Grab the right side of one of the slices of paper, hold it up toward the middle of the paper, curving the end toward the middle, but not folding the paper. Stick the pin through the end of the paper flap. Repeat the process with the right sides of each section, working your way around the paper in a clock-wise motion. When you have all four sections of the pinwheel tacked onto the T-pin, stick the pin through the center hole you created, and out the back of the pinwheel. Then stick the pin into the eraser of the pencil. Note: try not to stick the pin all the way through the eraser like I did in this photo. Add a pom-pom or button to the front of the T-pin with an Aleene's Instant Tacky dot. 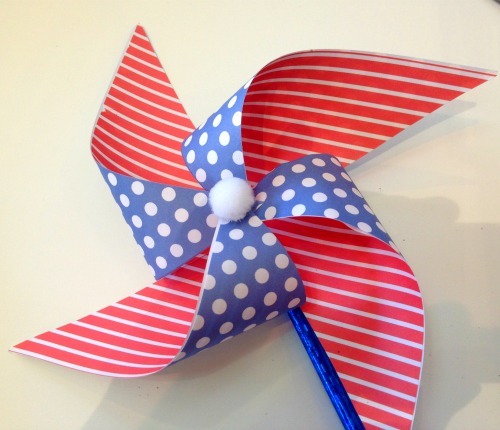 You can use any paper color combinations to make these pinwheels for any occasion. 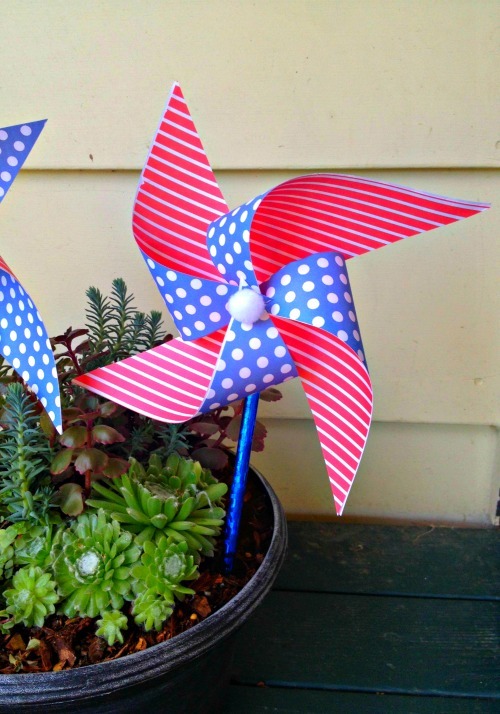 I absolutely love pinwheels. They make me happy when I see them. Perfect decoration, and so easy to make! Polka dots and stripes together . . .thumbs up here! 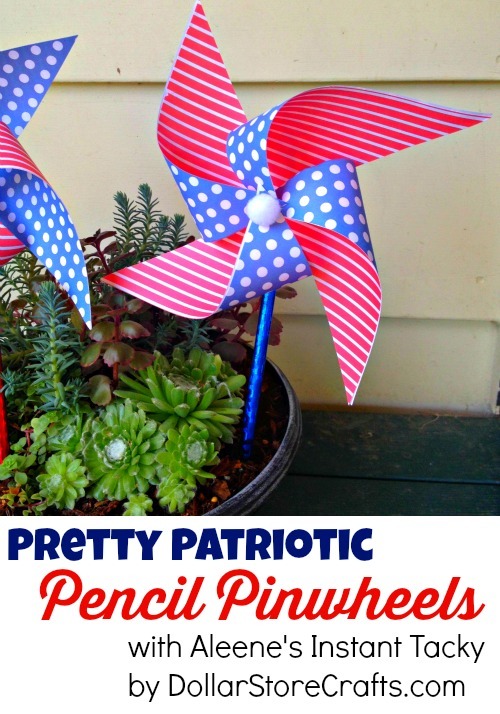 I love pinwheels and these are so pretty! 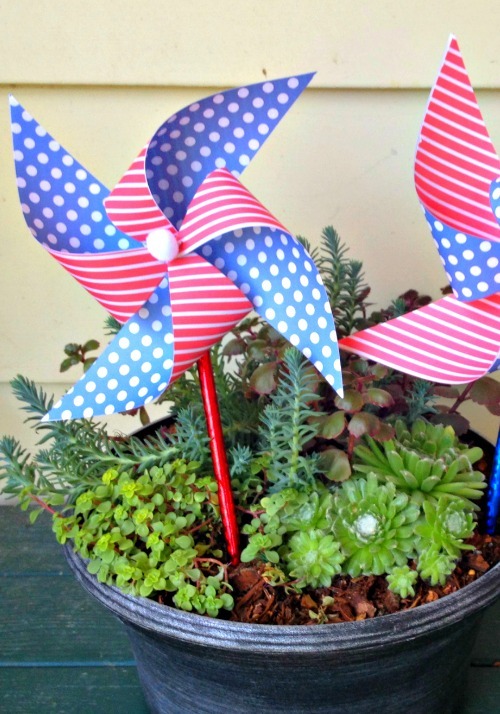 The ultimate summertime craft project! Love it. Aleene's rocks!